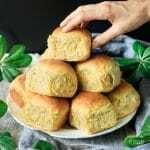 Do you enjoy soft, fluffy homemade bread? I do, especially when the bread has a touch of sweetness. 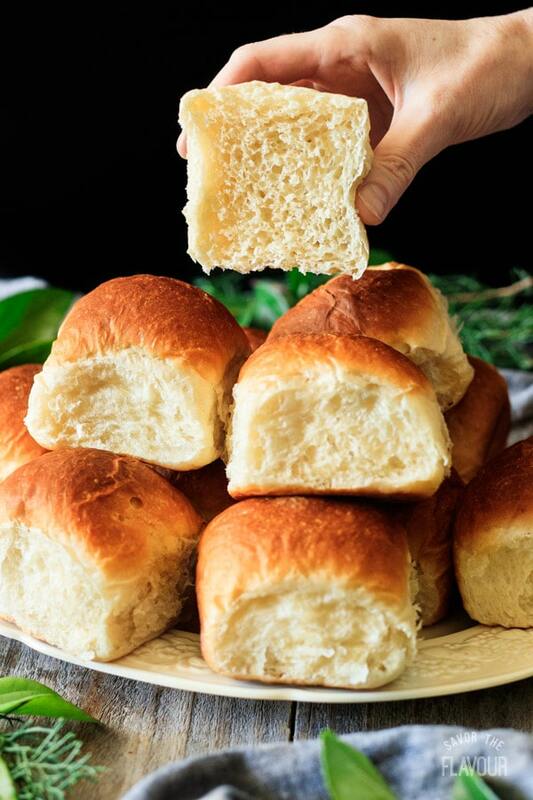 These easy Hawaiian sweet rolls are just the perfect bread to use for sliders, sandwiches, appetizers, or just eating by themselves as dinner rolls. I hope you’ll find them as delicious as our family does! What are Hawaiian sweet rolls? 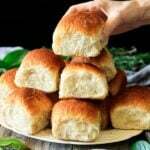 Hawaiian sweet rolls are light, soft, and fluffy white bread rolls originally from Hilo, Hawaii. Pineapple juice is added to the dough to give it a subtle tropical flavor. 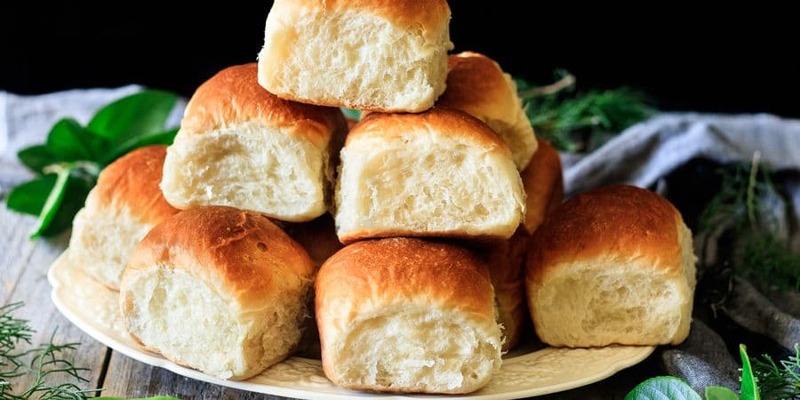 These soft rolls are very popular in the United States for making sliders or serving on their own as dinner rolls. Are Hawaiian sweet rolls healthy? Store-bought Hawaiian sweet rolls aren’t healthy. The dough contains preservatives and dough conditioners, which doesn’t make it a healthy choice. 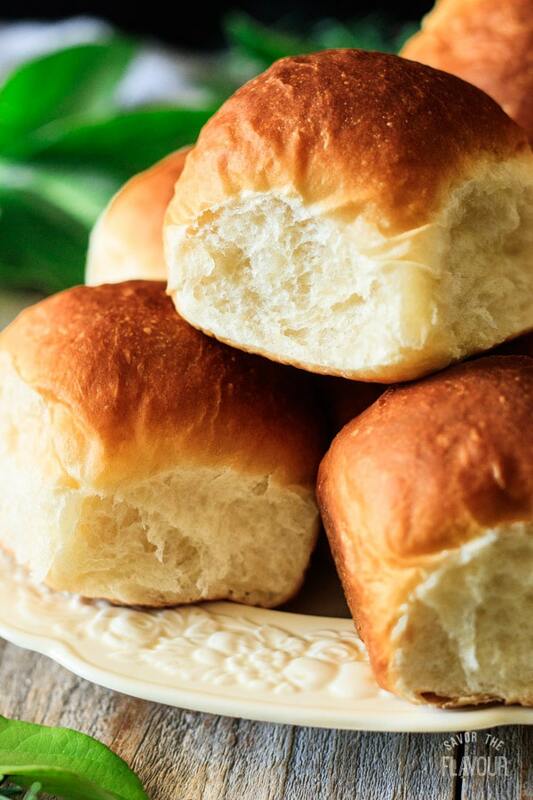 Homemade Hawaiian sweet rolls, however, are much better for your health. No preservatives, chemicals, or fancy names in this bread! Check out the nutrition facts at the end of the recipe card for detailed nutritional information. What makes Hawaiian rolls sweet? These Hawaiian rolls are sweetened by light brown sugar and pineapple juice. Warm the rolls at 350 F for 3-5 minutes, until desired warmth. If the rolls are frozen, they will take longer to warm. How long do Hawaiian sweet rolls last? 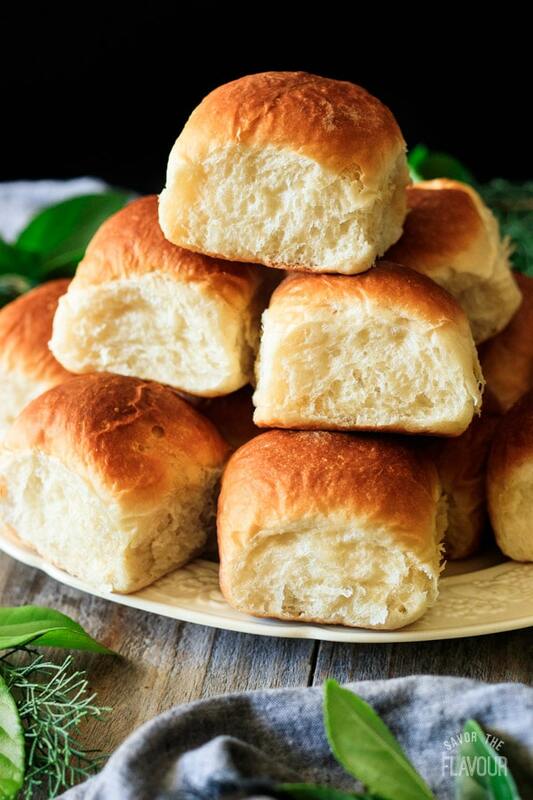 Store-bought rolls would last for up to a week at room temperature. Homemade ones should be frozen or eaten within 24 hours of baking since they don’t have preservatives. How do you store Hawaiian sweet rolls? Keep them sealed tightly in a zip-top plastic bag at room temperature for up to 24 hours. 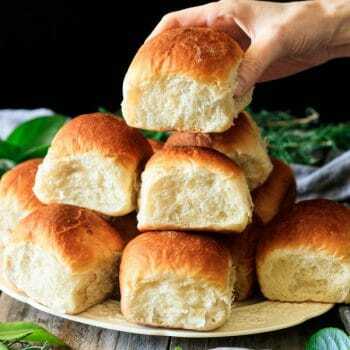 Don’t refrigerate them, as it will make the rolls go stale more quickly. Can Hawaiian sweet rolls be frozen? Yes, they can be frozen. 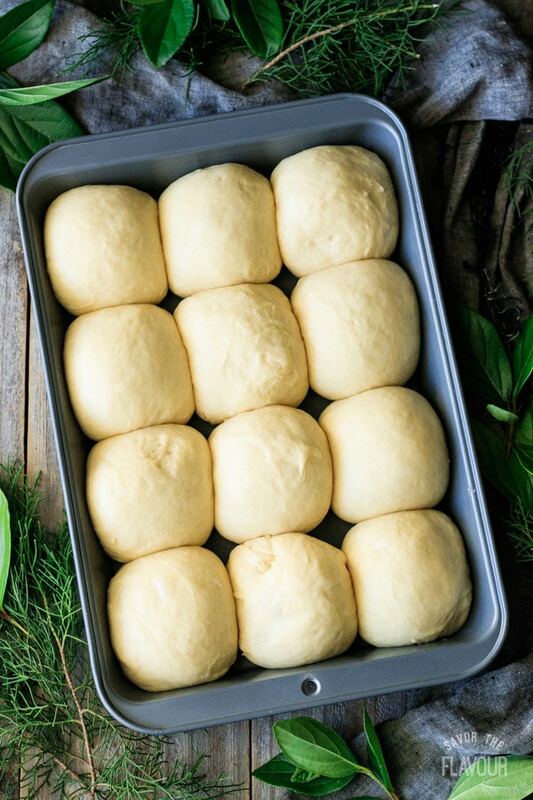 Bake the rolls and let them cool completely, then wrap them tightly with aluminum foil and seal them in a zip-top freezer bag. Freeze for up to 1 month. Gather the ingredients. 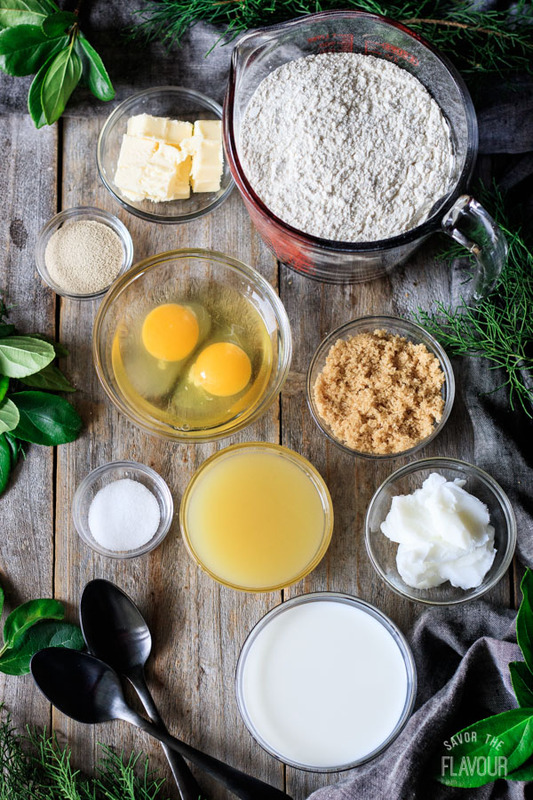 You’ll need bread flour, yeast, salt, butter, lard, brown sugar, eggs, pineapple juice, and milk. 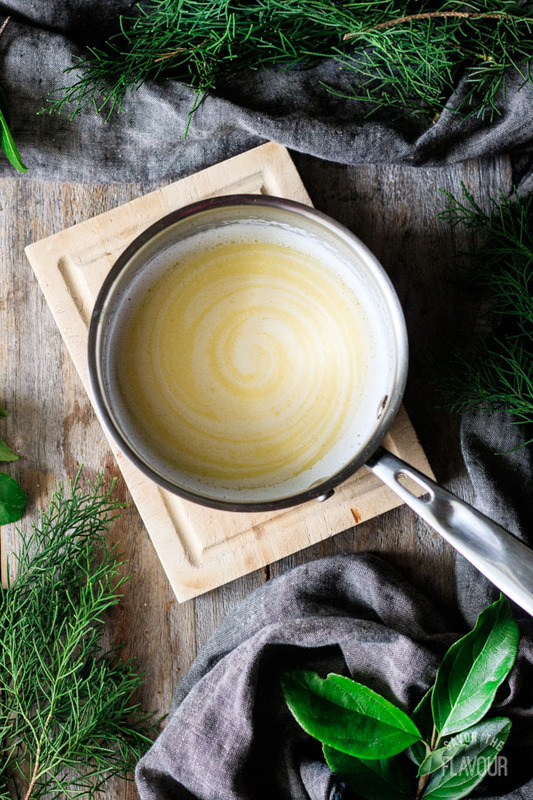 Dump the milk, butter, and lard into a small saucepan and set over medium heat. Stir frequently until the fats have melted and the mixture is smooth, then let it cool to 115 F.
Pour the flour into the bowl of a stand mixer and add the salt and yeast on opposite sides of the bowl. Mix in each one with your finger. Blend in the sugar, eggs, and pineapple juice. The mixture will be quite dry at this point. Pour in the cooled milk mixture and blend until a sticky dough forms. 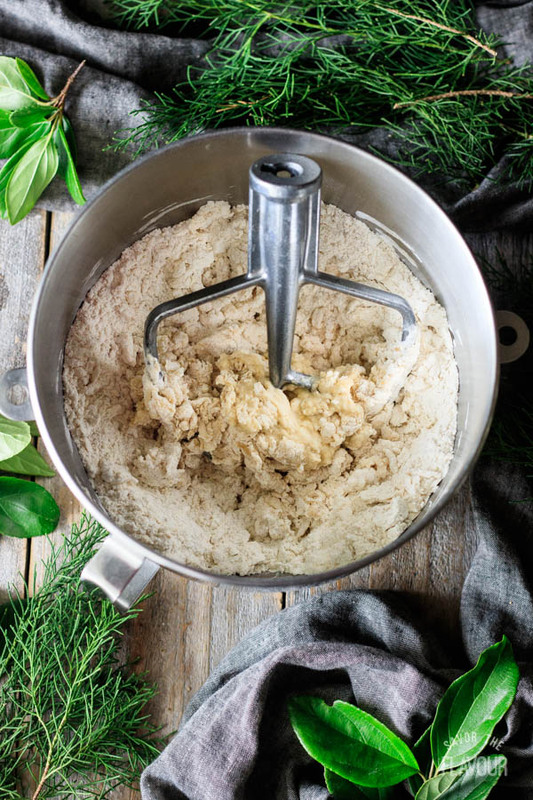 Turn off the mixer and let the dough rest for 10 minutes. Shape the dough into a ball, place back in the mixing bowl, and cover tightly with plastic wrap. Set in a warm place and let the dough rise until doubled in size, about 1 1/2 to 2 hours. 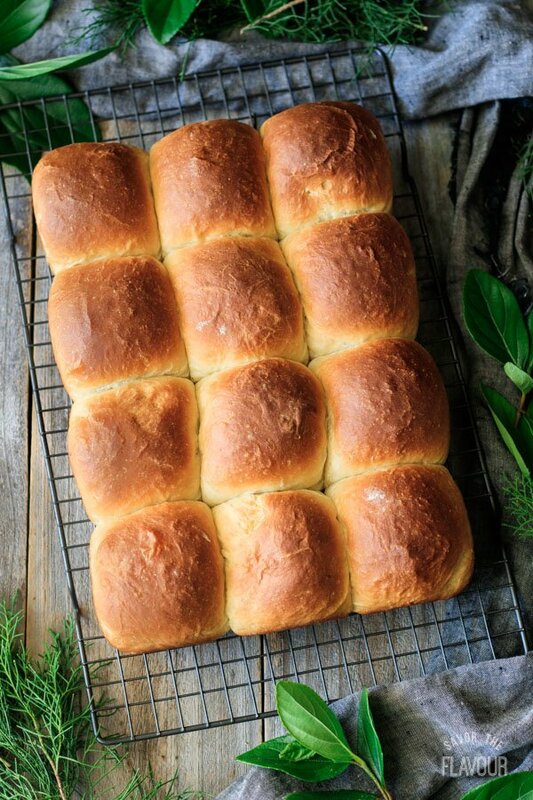 You can even let it rise overnight in the fridge if you want to make the rolls ahead of time. 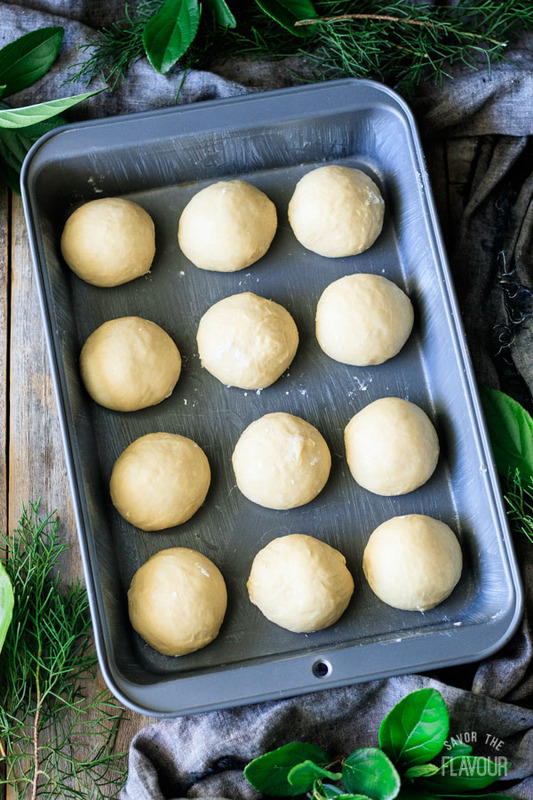 Punch down the dough to knock out the air pockets, then divide into 12 pieces and roll into tight balls. Place in a buttered 9×13-inch cake pan. Cover with a clean garbage bag or buttered plastic wrap and let the rolls rise in a warm place until doubled in size and springy to the touch, roughly 45 minutes to an hour. If the dough is cold from the fridge, it will take longer to rise, but have a better flavor. Bake the risen rolls at 375 F for 20 minutes, until well browned. Make sure the rolls have an internal temperature of 190 F on a meat thermometer to ensure they’re cooked. Let them cool completely on a wire rack, then break apart and serve. Don’t substitute the bread flour. 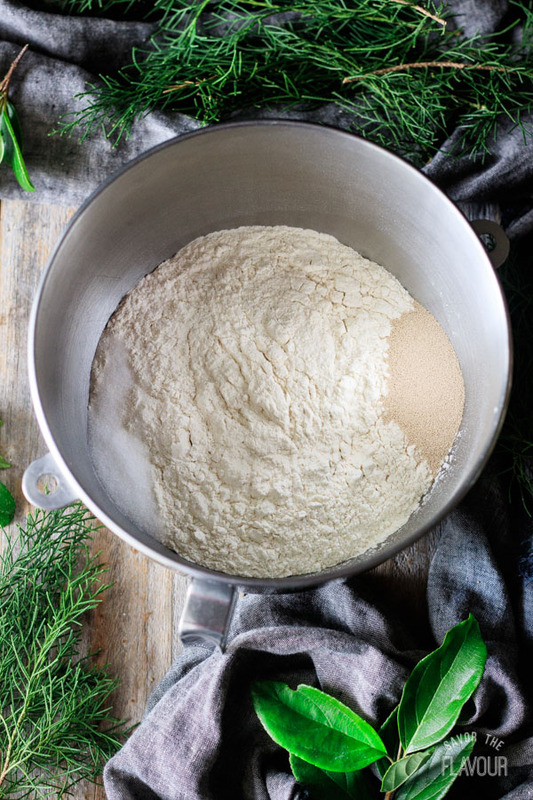 Bread flour contains more protein than all-purpose. Protein turns into gluten when mixed with liquid, giving the bread strength and structure. This results in a higher rise and pleasantly chewy texture. Don’t leave out the pineapple juice. Although its flavor in the rolls is subtle, it is the main distinctive element in this recipe. If you absolutely must substitute, replace the juice with milk and add an extra tablespoon (12g) of light brown sugar. Use unsalted butter. Unsalted butter is often fresher than salted. 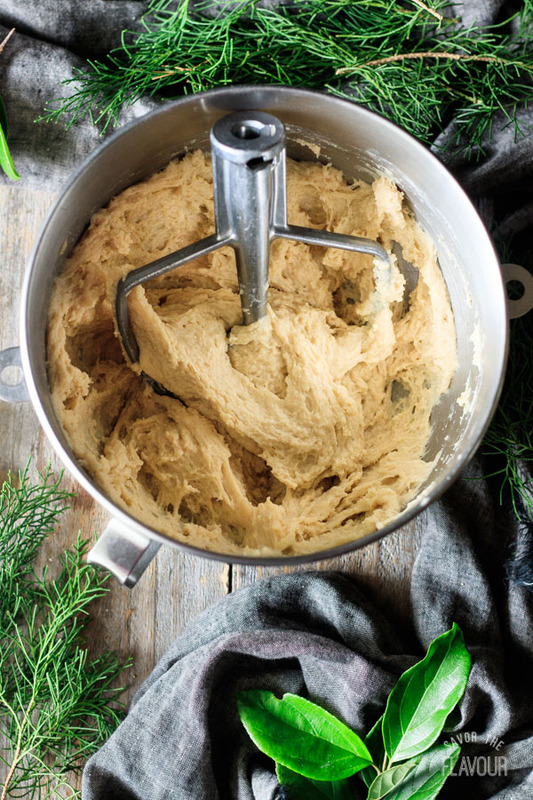 Using unsalted butter also allows you to control the amount of salt in your baking. Use a combination of butter and lard for the best flavor and texture. Butter brings a great flavor to the dough, while lard encourages a beautifully soft and fluffy texture. Be sure to let the milk, butter, and lard mixture cool to 115 F before using. Extreme heat can kill the yeast in the dough. 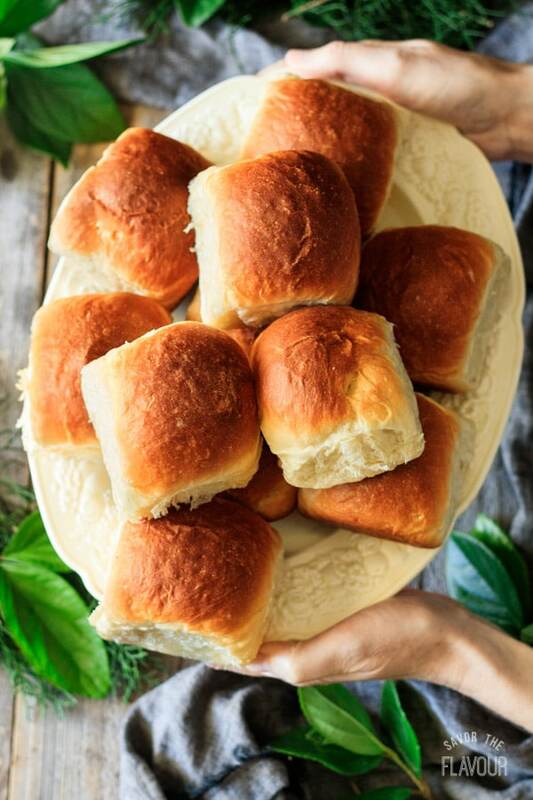 Want to make the rolls ahead of time? 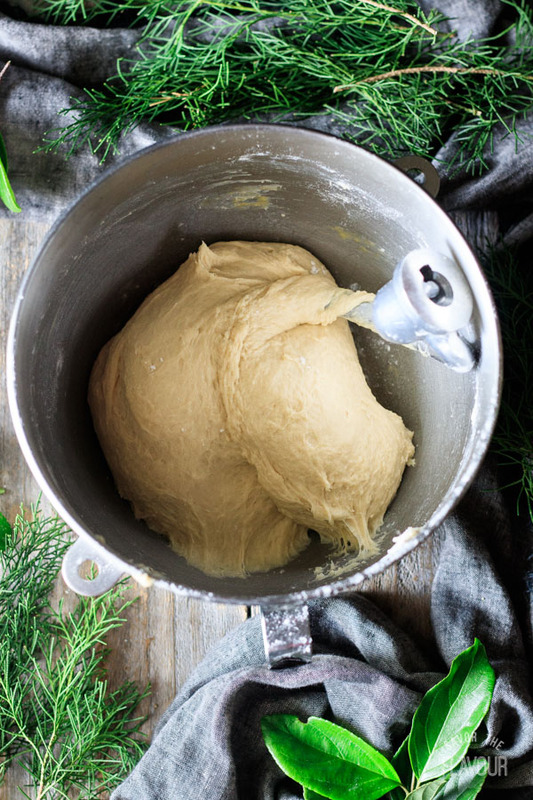 Let the dough complete its first rise in the fridge overnight (at least 8 hours). Finish the rolls the next day, although take note that the rising times will take longer, because the dough will be cold from the fridge. Are the rolls rising too slowly? 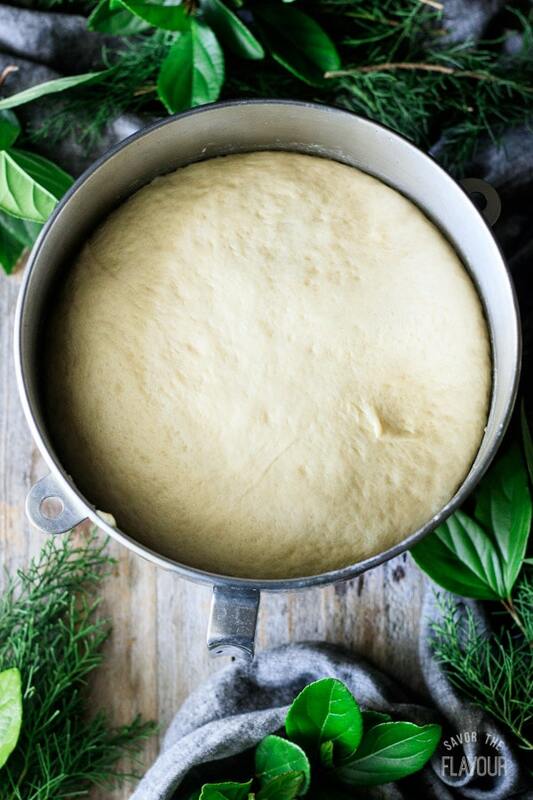 You can speed up the process by placing the bowl of dough or pan of rolls in a cold oven. Place a large casserole dish filled with boiling water on a shelf below the dough and shut the door to trap the steam inside. The gentle heat will encourage the yeast to work more quickly. Looking for more dinner roll recipes? You’re in the right place. Easy Pumpkin Dinner Rolls: these make-ahead friendly rolls are the perfect accompaniment to Thanksgiving dinner. 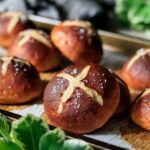 Laugenbrötchen: these German pretzel rolls have a rich, dark crust and delightfully chewy insides. 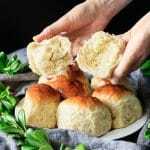 Hokkaido Milk Bread Rolls: learn the Japanese secret to amazingly fluffy bread with this easy recipe. The pleasure of a 5-star review of these Hawaiian sweet rolls would be greatly appreciated.